Nash has big, wide, fat, perfect little feet that are VERY hard to find shoes that fit. 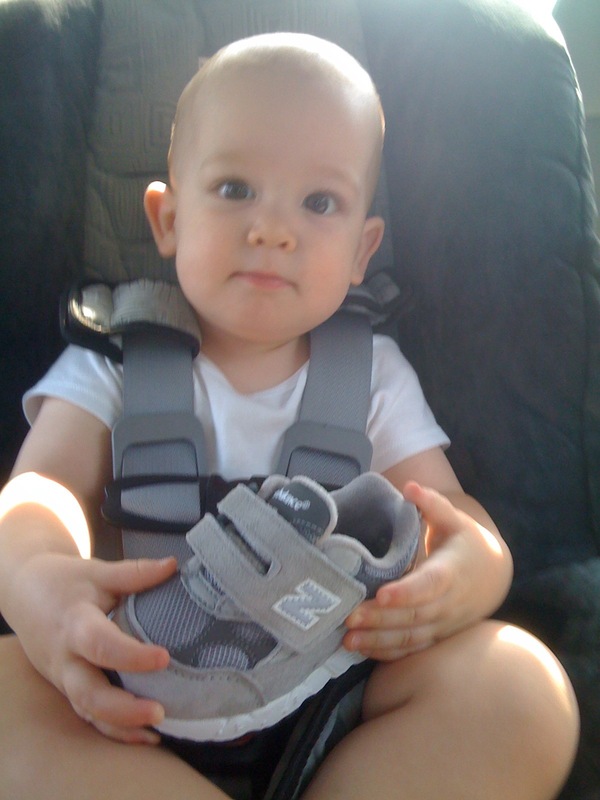 He got his first pair of shoes (Extra Wide New Balance) when he started walking at 11 months…and has had the exact same style of shoe ever since (5 pairs!!). But this week we finally found a new brand + style that fit his adorable fat sausage feet! 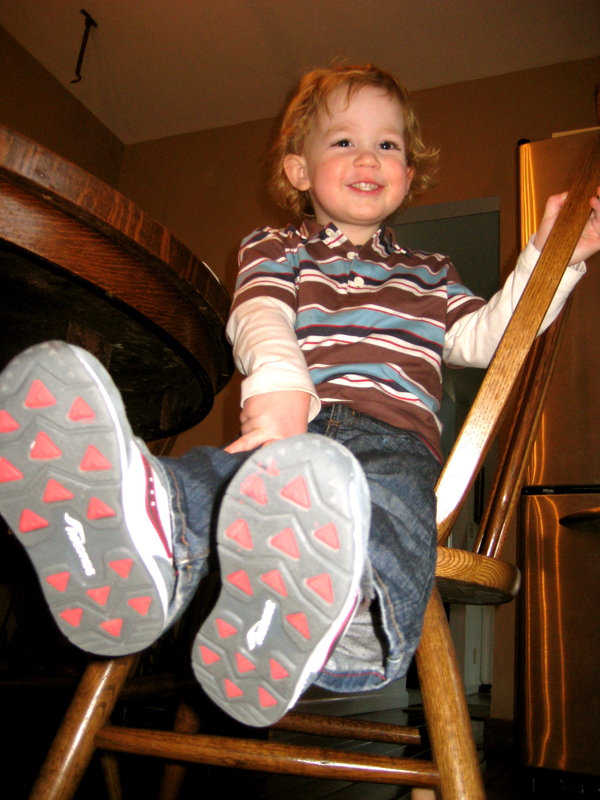 It’s a small detail in life, but it makes me really happy…and Nash loves his new kicks. Thanks Marmi! Aww, very nice. You’ll probably have the opposite problem with Evyn… Both my girls have such narrow heals that it is hard to keep some shoes on them! I had no idea they made these in extra wide. 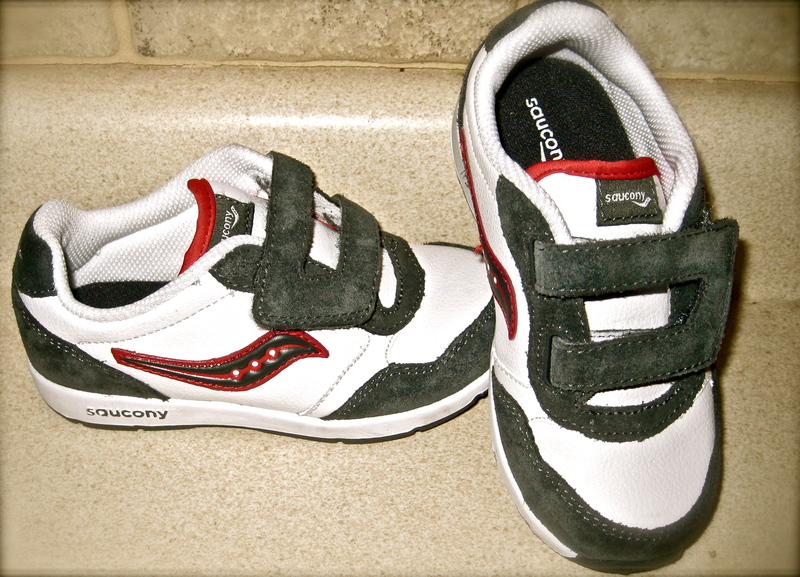 We bought Millie a pair and they wouldn’t velcro all the way b/c her foot (like Nash’s) is so wide! I will have to look into getting her some in WIDE! Mekele has the same issue with his sweet little feet. We haven’t found any shoes that fit him. He kicks the one pair off that do kind of fit. thanks for the advice!! Nash is way too cute…Keep that kid away from the ladies, Emily.